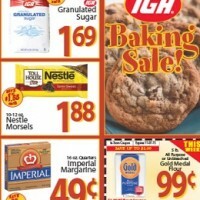 IGA Weekly Ad. Baking Sale! 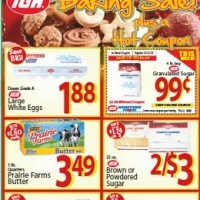 IGA Weekly Sales Ad. Baking Sale! 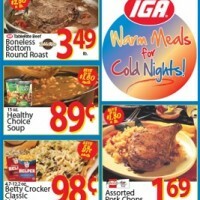 IGA Weekly Ad. 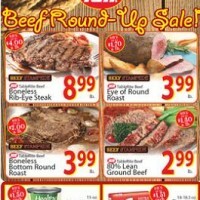 Beef Round-Up Sale! IGA is a brand of grocery stores active in more than 30 countries. Contrasting with the chain store business model, IGA operates as a franchise through stores that are owned separately from the brand. Many of these stores operate in small town markets and belong to families that manage them. It was founded in the United States as the Independent Grocers Alliance. The headquarters are in O’Hare, Chicago, Illinois. IGA was started in May 1926 when a group of 100 independent retailers in Poughkeepsie, New York, and Sharon, Connecticut, led by J. Frank Grimes, organized themselves into a single marketing system. This group quickly expanded, and by the end of the year there were more than 150 IGA retailers. In 1930 there were over 8,000 grocery stores using the IGA name. The company uses the “Hometown Proud Supermarkets” slogan. Today, many IGA grocery stores are still located in smaller cities and towns throughout the United States. If you are interested in knowing more about the company, its statements, products, and special offers or discounts, please visit www.iga.com. View the latest IGA weekly ad and grocery circular. 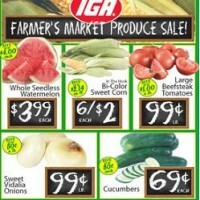 IGA weekly specials, flyer, coupons and store offers.